The Ulster Plantation of the early 17th century is widely accepted as a period of critical importance in the shaping of modern Ulster. Published by the Ulster Historical Foundation in association with the R. J. 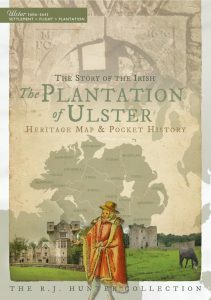 Hunter Committee, this map is a companion to The Plantation of Ulster: the story of the Scots and The Plantation of Ulster: the story of the English and considers the experience of the Irish in the Plantation.